The world has not yet known about the exact details of the Tesla Model 3, but the company has already had pre-orders for 400,000 units. Such has been interest in this ‘affordable electric car’ from Tesla that the company does not plan to stop with this model, according to CEO Elon Musk. 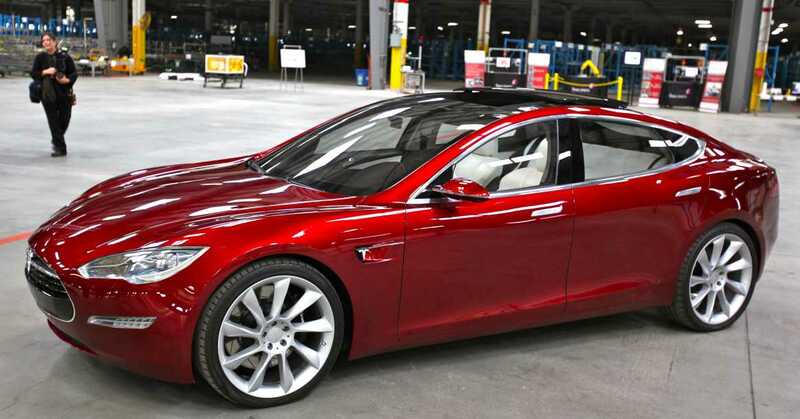 The company is planning to come out with a Tesla Model 4. At the Transport Solutions conference in Norway, Musk claimed that he is extremely excited about making the affordable car that everyone can buy. The Tesla Model 3 is priced at around $35,000, which is a lot less than models like the Model S and Model X. Some of the Tesla vehicles can even go more than $100,000 depending on the specifications. Musk revealed that Tesla are able to offer this pricing for the Model 3 due to the economies-of-scale. This also means that the world can wait for an even cheaper model in the future, according to the CEO. Tesla recently reported a significant drop in profits due to higher than expected expenditure in terms of research and development. There have also been rumors that the American company is working on the Model Y to sit just below the Model X. This will enable the company to directly rival electric cars like the Nissan Juke. Another possibility is that Tesla will be going after Renault Zoe, which is an electric city car. It may be more than a year before the first Model 3 hits the market. However, competitors are expected to be concerned about the developments. Ford was recently spotted buying one of the first Model Xs around. The company are reportedly planning to enter into the full electric cars to directly compete against Tesla. The Detroit-based giant reportedly paid around $200,000 to secure the Model X, which has a base price of $110,000. They have been ready to pay such a big premium in order to understand the technology and quality behind the competitor’s product. The Model 3 is similar to several other products from the company but on a basic scale. Rather than feature to screens as in the case of models like the Model S, the Model 3 comes with only one big touchscreen display that also acts as an instrument panel. Musk revealed that the company had no other option but to go with a low-volume high-priced car at first.